Global cosmetics company MAC has launched its first new-age immersive, omnichannel experience centre after months of research. 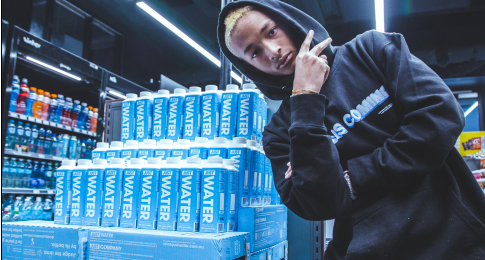 The concept store, which debuted in Shanghai, China, came after six months of research into the purchasing behaviours of Gen Z and is at the forefront of immersive, omnichannel retailing. The store features numerous interactive touchpoints for consumers including product discovery, social media engagement and digital purchase functionality all of which provide an unprecedented immersive experience. The brand’s e-commerce offering is centred around an interactive app called WeChat, which is the touchpoint for the entire store experience. Once consumers enter the store, digital totems on the app personally greet the shoppers and invite them to check-in. Consumers can then navigate the entire store experience using the app – including looking at product information and ordering items. In the eye shadow section of the store shoppers can also use the We Chat app to choose from six palettes and tailor them to their own tastes, navigating the order and purchase process through the app. 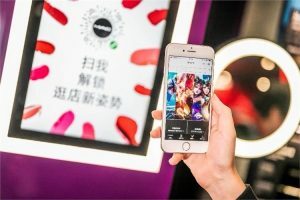 The shop also features a virtual makeup mirror where customers can sample 18 MAC lipstick colours in 30 seconds, while an infrared touchscreen in the foundation part of the store matches foundation with the customer’s complexion. The higher level of the store also includes an educational part of the store, where master classes are undertaken alongside key opinion leader events. Mark Jiang, brand general manager at M·A·C Cosmetics said that the store represents the brand’s ongoing commitment to new age retailing. “The M·A·C Cosmetics Experience Center has reinvented the physical retail experience, crossing the divide between the physical and virtual worlds,” he said. James Bay, managing partner at Wunderman China said that the store gives the brand an opportunity to engage specific consumers.